Hopefully some of you have started the Chef Foundation diet and are now over one week in and have got your heads round the concept and are enjoying a wheat and animal-fat free month. I have been eating lots of fruit, salads, soups and roasted vegetables and as promised here are a few simple recipes to help spice up meal times for you. These can be eaten with other items or as they are as a snack if you get peckish during the day. You don’t need to weigh or measure anything for these recipes all amounts are just guidelines so just make things so they taste right to you. Add things like salt and pepper bit by bit. You can always add more but it is difficult to take it out! Some people like to add some chopped tomato too. This is great as a dip for raw veg sticks or thin it down with water for a sauce or dressing. 400g Cannellini beans (tinned or dried)If using dried beans soak overnight in cold water with a teaspoon of Bicarb, this will help soften the skins then cook in fresh water till soft. Tis now the season of the diet and they are big business. Wicksy, front page tabloid stuff & waffle board stomach, is 90 days subscription, yes 90 days. Some slimmers spend years on Weightwatchers making themselves miserable and still cough up every month. We all overdid it at Christmas…you have to… so January always means diet. It is part punishment, part penance. Each year sees a craze of new wonder diets and fads most seem more focused on relieving you of pounds sterling than imperial. Diets are difficult to stick to because they are often too complicated, too long, expensive, no fun and because we are all different a lot of them just don’t work. I have got my own diet that I do twice a year, it is easy and has always worked for me, not just for weight loss but to freshen up and detox too. I call it The Chef Foundation diet. It’s not about eating less, your body needs fuel, It’s not about about suppressing desire cos we all enjoy treats. Its about cutting out a lot of the crap we all eat with an easy and straightforward formula. 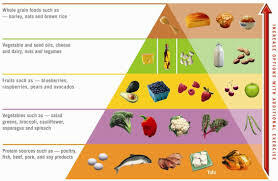 The Chef Foundation diet is a short term life style change best adopted for a set period, I recommend a calendar month, this is long enough for your system to purge and change but not too long that the end is never in sight and manageable for most people. I like to start on the 1st of the month and run through. I am on it now. The rules are simple. No animal fat and no wheat. Apart from that you can eat and drink what you like. This does not have to be a vegetarian month. If you crave or miss animal protein then chicken breast (no skin) or white fish best poached, steamed or chargrilled can all be eaten. The secret is your mindset which is why a month helps too. By day 3 I am usually on it and the closer the end of the month gets the easier it becomes. Personally I never weigh myself. I know if I am losing weight from the way my clothes fit. When the month is over I feel better, have always lost some weight and have changed the way I look at my food intake. Our western diet is so wheat and additive driven and this causes lots of issues, food intolerance, bowel disorders, cancers etc. If you are going out for an evening meal try to stick to the rules. So don’t order deep pan pizza with extra cheese and chorizo. There are nearly always sensible options available. Reduce your use of salt and sugar and notice how your palate and taste buds wake up. Prepare things in bulk so that you have food for a couple of days. Don’t weigh yourself every 10 minutes. This is not just about losing weight it is about rebalancing your body dynamics. Some recipes and meal plans will follow over the next few days to help you get started. Come on give it a go. Having just finished bleating on about how cookery books aint wot they used to be someone comes along with a bloody stonker!! 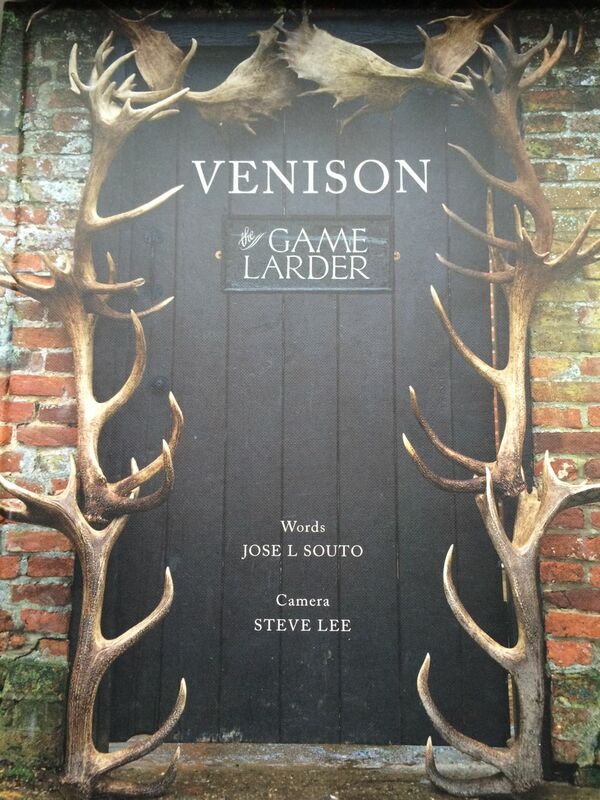 Venison, The Game Larder, by Jose Souto and Steve Lee is a massive body of work and a fascinating journey into one man’s obsession with wild food and countryside management captured and beautifully brought to life by another man’s photographs. 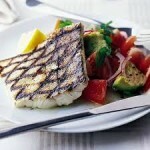 Jose is a well-respected chef and lecturer at Westminster Kingsway college in London. The flagship catering college in the country for as long as I can remember standing head and shoulders above the rest. I first met Jose at one of his game seminars at Westminster about 8 years ago . Attended by chefs, foodies, the press and other colleges this was and still is the best one-day game event for chefs anywhere. Jose always has the full range, and I mean THE FULL RANGE, of indigenous game on display, in depth knowledge on everything form the feeding habits of the Snipe to the Red Deer Rut in the Cairngorms. 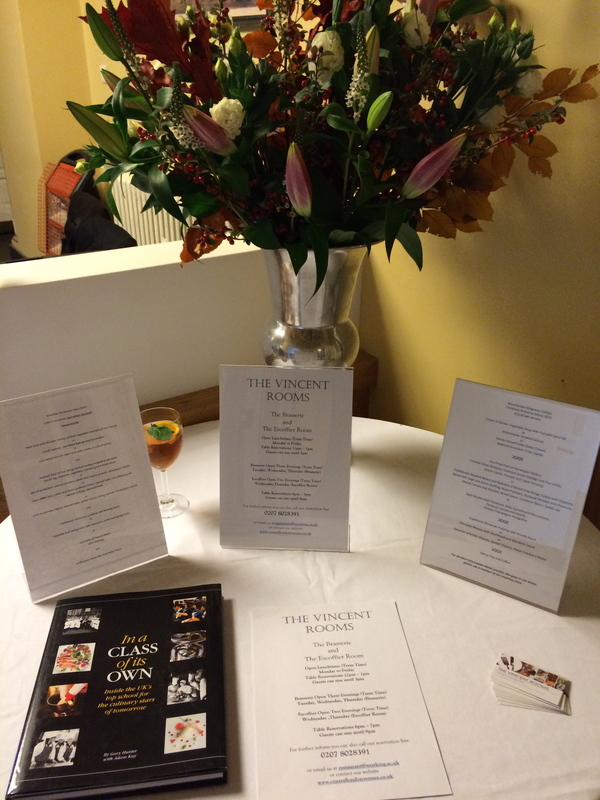 The day includes an excellent lunch in the Vincent rooms cooked by the students and finishes with a comprehensive butchery master class breaking down an entire carcass of venison into dozens of different cuts. 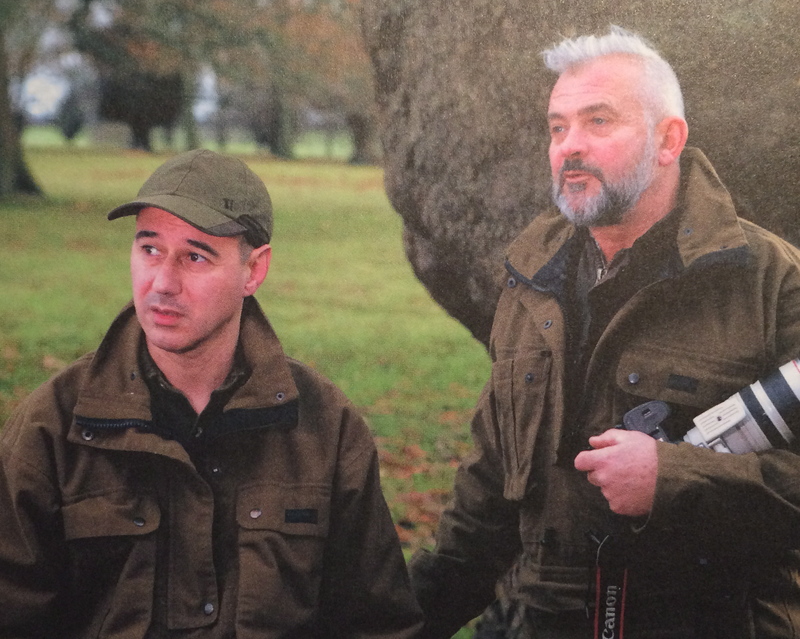 His obsession with game, ability with a gun and love of the countryside and falconry are reflected in his work as a chef and Steve has captured all this brilliantly for you to share. Steve Lee is a professional food driven photographer creating stunning stylish contemporary images of food, drink and people, mainly in the studio I guess. Creeping about on all fours following Jose on a 4.00am winter stalk in the highlands must have been a bit of a shock but without him this book just wouldn’t work. 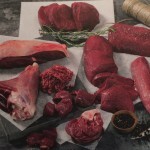 Wild life shots that bring the countryside to life, articulate images of cuts of meat that really help understand the butchery involved. Great portraits of the team in the field, and pub, and recipe shots that don’t make you feel you have failed miserably when you decide to make one of Jose’s dishes. 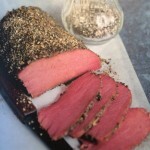 The recipes are both traditional and up to date, smoking and curing, venison pastrami, air-dried hams, black pudding, kebabs, pulled shank, hot pot. There is a good selection of recipes from other chefs Tom Kerridge, Phil Vickery Brett Graham, Jun Tanaka and a lovely section with contributions from ex Westminster students too. 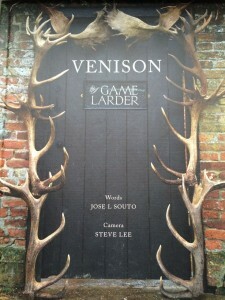 Although Jose and Lee have spent 8 years, field and kitchen, creating this book it was well worth the wait and I take back everything I said about modern cookery books not being fit for purpose. Just go out and get a copy! A friend recently leant me a couple of old cookery books she picked up rummaging second hand shops in Kennington Sarf London. She is one of those annoying people who seem to be just browsing but always comes away with something rare or special. There are no glossy pictures in these books, in fact no pictures at all, no oven temperature charts, conversion tables, trendy chapter headings or suggested Spotify playlists. These books score zero on the coffee table scale and yet I found myself reading both of them from cover to cover and then started digging out a few I had on the shelf at home. The first was Arabella Boxer’s Book of English Cookery (1991)…not that long ago…. Through reminiscences of her childhood she charts the changing trends and fads in town and country dining between the wars. Big yawn, not for a minute. The world of the professional chef had already been permanently changed with the publishing of Escoffier’s Guide Culinaire in 1903, over 5000 recipes and still in use today, although every restaurant kitchen had a copy this was not for dinner party cooks or hostesses. Boxer pays tribute to the society darlings, Nancy Astor, Jessica Mitford “it took the butler 6 minutes to walk from the kitchen to the dining room at Chatsworth” then comes Boulestin and many more leading on to Constance Spry (1942) and Elizabeth David (1950) and they pave the way for Robert Carrier, Jane Grigson, our Delia, and the road to Saturday Kitchen and home cooking as we know it today. Her recipes are scattered with anecdotes and lots of name-dropping, but it’s soooooo readable. Potted shrimp sandwiches, Yeah, “I remember these from Goodwood races”, the picnic section closes with a recipe for sloe gin. Look a little deeper and there’s water biscuits here too. The second book was Countryman’s Cooking by W.M.W Fowler (1965). He goes on to totally equip your bachelor kitchen including how many butchers hooks you will need (6 by the way), gives no-nonsense easy to follow instruction on butchery, the preparation and cooking of furred and feathered game, hunting, shooting, fishing and lots more. He doesn’t do desserts, probably just as well, and closes with a full page of instructions for perfect Brussels Sprouts; the back cover has his recipe for beer and a great quote “my weak will is one of my most prized possessions”. 931 Cucumber should always be sliced first from the thick end……we know now. Not a book, a DIY manual for life. There is nothing the modern housewife/househusband can’t make or fix armed with a copy of this! And saving the best till last…when learning my trade cooking in Paris in 1981 I was asked to make a Foie Gras Terrine for a friend to take to the family celebrations for St Sylvestre. He thanked me with a copy of Le Nouveau Cuisinier Royal & Bourgois (1720) by Paul Prudhome. Written in old French and sometimes quite difficult to read these guys were cooking everything we have today Crayfish & Asparagus, Ris de Veau aux Truffes and Partridge with Morel mushrooms and Cognac. These books are real gems and we have all got them at home, have a look on your bookshelves, the boxes in the loft, ask your Nan! So what’s changed?……Take a short trip in the time machine…….you wake up to Heston’s Snail Porridge and deep fried Mars bars. How do they do that? Modern cookbooks look great, lots of arty photos, you flip through, maybe try a couple of recipes, but why are they always just a bit too complicated and it never looks anything like the illustration, so it goes back on the coffee table….yeah I’ve got the new Jamiepollenstebulifrenchlaundry cookbook…its great. Post script. 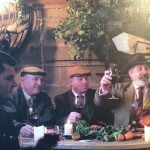 Most of the things I grumble about have got nothing to do with chefs. I have spent my entire life in the kitchen and have been very fortunate to meet and work with the most amazing, dedicated, talented and lovely people on the planet. They work stupid hours in bloody hot kitchens creating absolutely delicious food that some moron covers in ketchup and then slags off on Tripadvisor….. Its marketing, publishers, sales, branding, image rights, Tah dah and all that chews me off. I think I’ll stop there! Sourdough is everywhere these days, has achieved cult status and no self respecting restaurant, deli or bakery would be without it …the public are often in awe. What is it? What makes it sour? And how can you make it at home. When yeast feeds on carbohydrate the fermentation produces carbon dioxide and alcohol. It is the CO2 element that is the raising agent in most bread. The alcohol content of wine comes from the fermentation of yeasts that occur naturally on the skins of the grapes. In the same way it is the yeasts that occur naturally in wheat that provide the fermentation for sourdoughs. However the small amount of yeast present requires a much longer fermentation time than breads made with the addition of cultivated yeast. The extended fermentation also produces alcohol and it is this that gives the bread a beery “sour” smell and flavour……… Hence Sourdough…….. The secret behind the production of sourdough at home or commercially is really down to creating and managing an active starter culture. This provides the lift and sour flavour. It may take several days for the starter to kick in. When making a new starter I keep mine in the airing cupboard so that it is always warm. Use a large empty yoghurt pot or similar and make a few holes in the lid to let the gas escape. Feed as described in the recipe. Once it is nice and active, easy to spot, continue to feed for a couple of days and then store in the fridge. The starter will live for as long as you look after it and feed/use it. Mine is 7 years old but there are 150 year old starters in bakeries all over the world. This recipe is adapted from one I received from an inspirational artisan baker Robert Rodrigues, the balance of flours can be adjusted to suit your own tastes. The dough is best made in an electric mixer with a dough hook as this is the most effective way to develop the gluten in the dough, provides structure, but I haven’t got one and always make mine by hand. 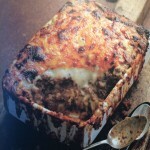 Check out the recipe and give it a go! After a few days it will start to ferment and bubbles appear on the surface. 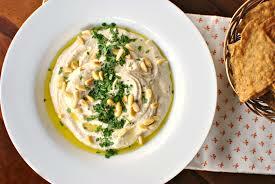 Once the starter is active continue to feed for a couple of days then keep it in the fridge. If not in use feed once a week. Always feed before using, clean the container once a week. To get a starter dough you need to make a dummy run, say 10% of the recipe below, or hold some dough back from another batch of bread, don’t use it but just refrigerate for 24 hours. Place all the above in a mixer, using a dough hook mix on a slow speed for about 10 minutes to develop the gluten in the flours. The dough will be very elastic and springy. Wet the work surface, turn out the dough and pat down with wet hands. Complete 1 French fold and return to the proving bowl, cover and put back in the fridge. 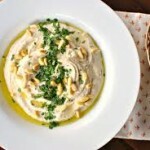 This strengthens the dough without knocking out any air. On the 3rd day take out of the fridge and return to ambient (4-6 hours) complete a wet fold, scale, shape and place in a well floured bannetone (cane basket). Cling film and Leave to prove till doubled in size. Turn out carefully on to silicone paper or a non-stick baking mat. Bake at 220.C, with steam if available till cooked, time will depend on the size of your loaf. 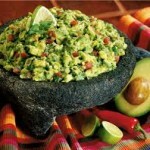 For best results place on a baking stone, cast iron skillet or heavy metal tray in the oven. This will produce bottom heat and gives a better crust & finish. Always hold back some dough to use as your next starter dough and always feed the starter culture before putting back in the fridge. The more you use your culture the stronger it gets. The balance of culture and old dough (sour content and yeasts) and new flour (structure) provide the balance for the bread. Aggie Sverrisson (Texture Restaurant) is without doubt one of the most creative chefs in London. His cooking is light, flavours intense, plating up just stunning and he flies the flag for Icelandic cuisine like no other. 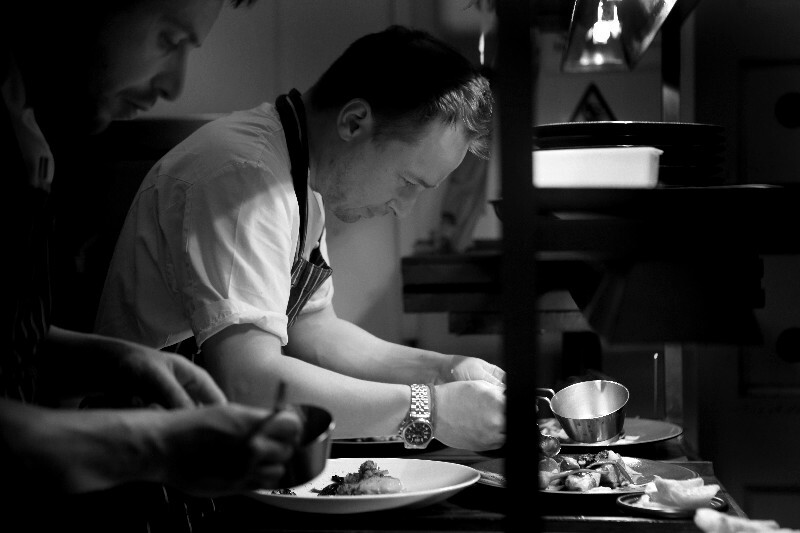 His tasting menu is one of the best in town and you can have a Michelin Star meal at lunchtime for £25. 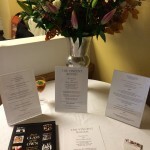 Texture also has an utterly fabulous wine list and a stunning Champagne bar……and sommelier! Although he uses all the latest culinary techniques they do not overload his food and his recipes are magnificent in their simplicity. This emulsion can be used in a squeezy bottle, spoon and smear or drizzle depending on the consistancy, if its too thick just add a little more water. It goes really well with fish, chorizo, salads, dips, blackened chicken and on and on. 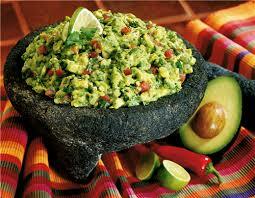 Place the avocado flesh, seasoning, coriander and lime juice in a food processor. Blend till smooth adding the water and oil as you go. House dressing is one of the base ingredients for food for the soul. It sums up both the philosophy and practice….simple….. delicious…. healthy. 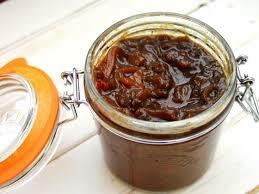 I always have it in the cupboard and use it for salads, cooking, baking, sauces, emulsions and much much more. 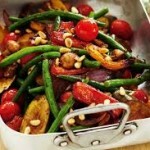 It has so much flavour that I never use vinegars with salads anymore. 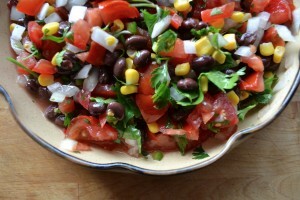 It can be made in any quantities and keeps for ages. You can also adapt the ingredients to suit your own taste.